The settings of the stones on this pendant are open at the back. This allows direct contact with the wearer's skin. According to medieval and Renaissance beliefs, the magical properties of the stones could thus benefit the wearer. 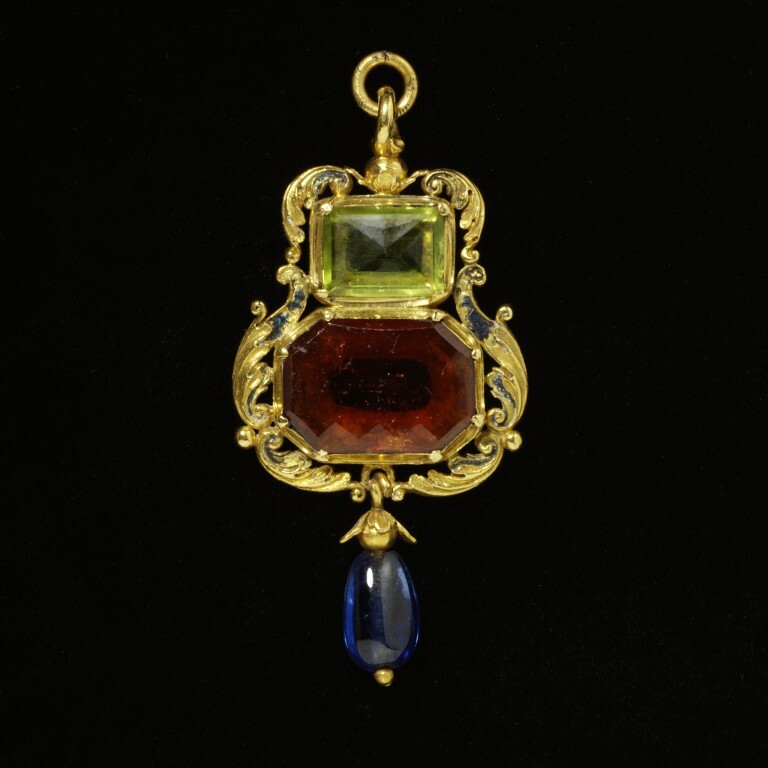 Renaisance pendants were often made as amulets to protect against danger. Here, the power of the amulet is heightened by an inscription to ward off epilepsy and an invocation to God, Jesus and Mary. Prophylactic pendant, gold, with traces of enamel in black and translucent blue, set with a hessonite garnet and a peridot, and hung with a sapphire. The stones are set unbacked to allow their magical properties to reach the skin of the wearer. The pendant, although resembling several drawings by Holbein, seems to have been a common type. 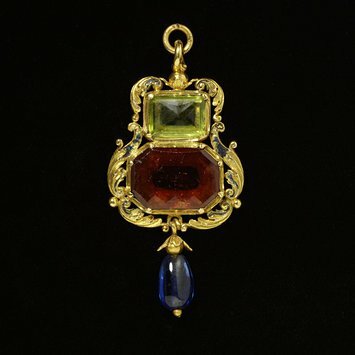 Prophylactic pendant, gold, enamelled and set with a hessonite garnet and a peridot, and hung with a sapphire, Britain, ca.1540-60.